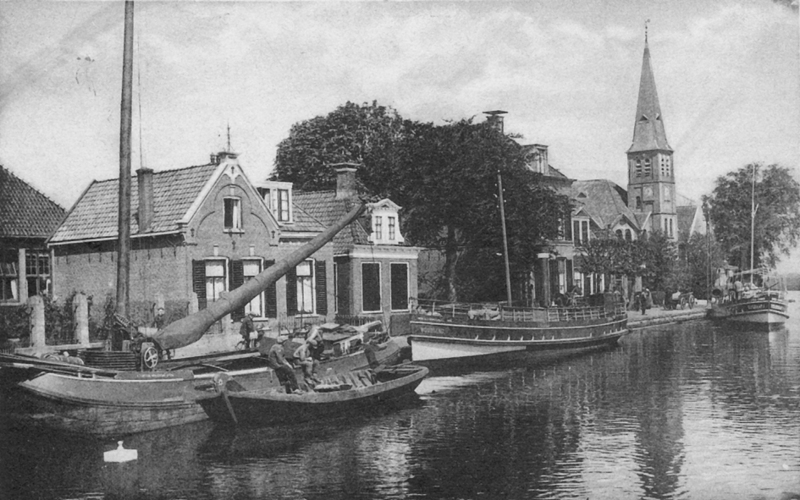 ‘Skûtsjes’ were used intensively for the transport of goods via inland waterways up to the mid-20th century. 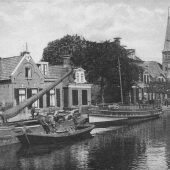 These were tjalk-type vessels and were mainly built in Friesland. Throughout the seasons, they could transport dung, terp soil, potatoes and other bulk commodities. An introduction to Woudsend would not be complete without a mention of the Woudsend skûtsje, the ‘Klaas van der Meulen’. Although the vessel was not built in Woudsend itself, it has been the pride of the village in the official annual SKS sailing regatta for many years.The Klaas van der Meulen was built in 1912 in the De Pijp shipyard in Drachten, to later serve for many years as a freighter for dung, terp soil, potatoes and other bulk commodities. The shipper and his family lived aboard the vessel. Due to great improvements in inland shipping and the emergence of road transport, the skûtsjes lost their economic viability by the mid-20th century.In the fifties, many skûtsjes adopted a new vocation as ships for regattas. The so-called SKS games are organised every year by the Sintrale Kommisje Skûtsjesilen. The Klaas van der Meulen participated for the first time in 1965 and has won the championship several times.